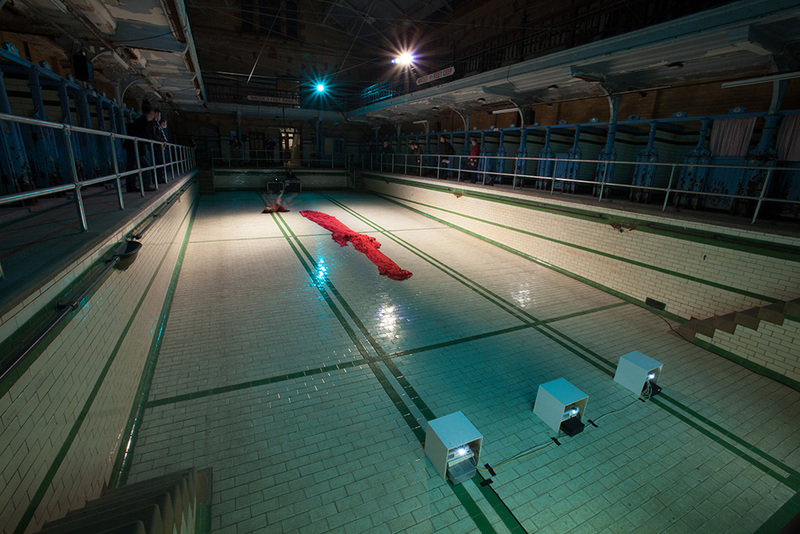 The Ghost of Someone Not Yet Drowned is a performance, installation and exhibition which was performed at Victoria Baths, Manchester on 19 April 2012. It consists of live dance, live and mediated sound, projected images and text all of which combine to explore the liminal place between breathing water and air. The Ghost of Someone Not Yet Drowned was created and performed by Julia Griffin, Karen Lauke and Helen Newall, with guest performer Michelle Mann and technical intervention by Patrick H. Lauke. The piece develops the idea of the performance space acting as a tool for interrogating multiple modes of performance in order to create an immersive experience through multi-disciplinary research and collaboration methods between multichannel composition, text, space, and image. 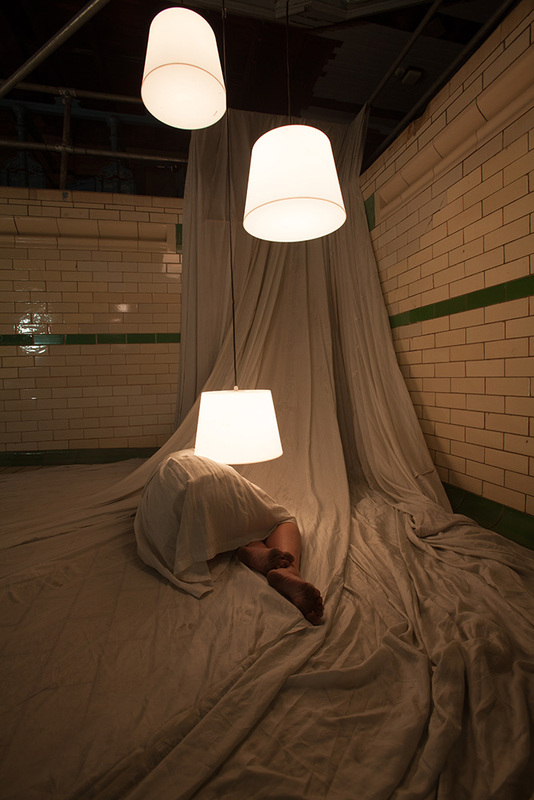 The composition is specifically concerned with the incorporation of sound as a performative event – using sound as a privileged and therefore a 'visible' element in the performance, rather than subservient to the work, as is often the case in more traditional forms of theatrical or visual performance. 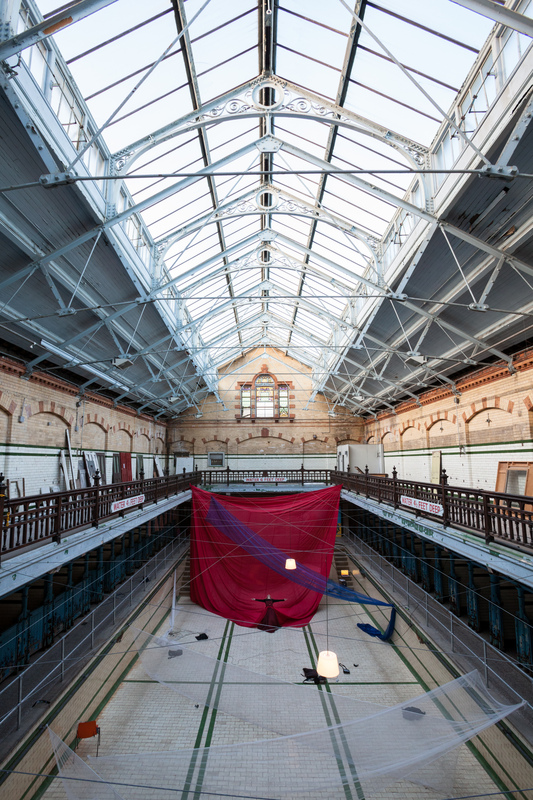 The piece explores how space can be used as a sound source and how sounds can change and evolve with, and in response to, an audience and physical performers in a space. The diffused sound performance consisted of electronic sounds, natural sounds and the human voice. The electronic sounds emerged from material previously recorded from the space during site visits, thus making the work site-sensitive – not only with regards to the composition being mindful of the performance space, but the space itself also acting as a sound source in its own right, both in terms of pre-recorded material and live elements which are being fed back into the piece during the performance. Research questions investigated the natural reverberation of space as a sound source, to add a further layer to the composition. 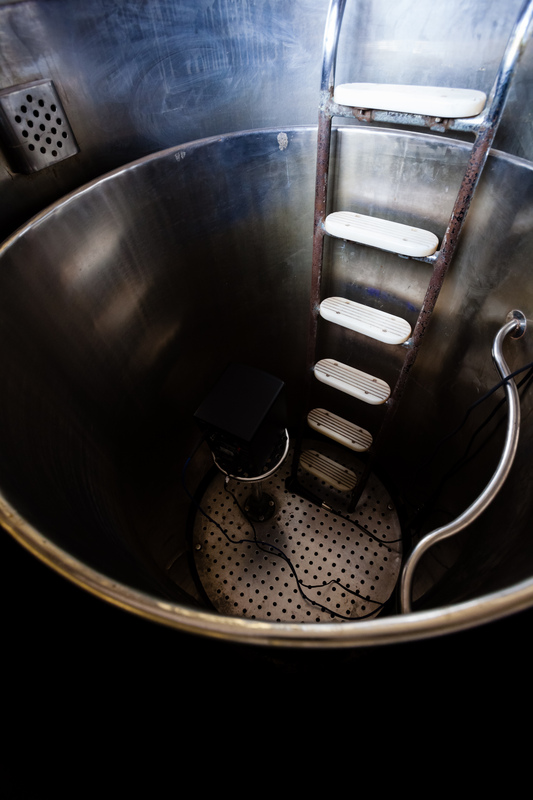 In particular, during the performance, sounds were sent to the disused aeratone adjacent to the pool, where they were played back, re-captured and, and fed back into the diffused performance – effectively turning the metallic body of the aeratone into a form of live effects unit.